When discussing the applications for MMS most customers tend to think about broadcast applications: event promotions, MMS sales offers, seasonal marketing MMS campaigns, sending vouchers, ticketing via MMS and more. What is less well known, is the ability to receive MMS, an “incoming MMS” if you will – then do something with the images or video received. A well-worn myth is that only smartphones can send and receive MMS which is completely wrong – even older feature phones with cameras are perfectly capable of sending and receiving MMS. So with a suitable MMS gateway such as Thirdscreen’s, you can prompt the consumer to send a text with photo, MMS (or PXT) to a designated number which can then route the images to an email address or post the MMS content directly to an application. Why would you want to receive MMS via a computer anyway? 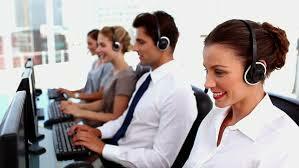 Call Centres – Ask the customer to send in a photo of the call centre ID under discussion. Not all customers know how to use email on their mobile phone but most will know how to send a photo. The image can then be routed directly to a customer service agent. Events, Incident Response – Onsite concerts, festivals and the like. Event goers can send in photos of any incidents whilst onsite helping incident response staff on the ground to respond more intuitively. Help Desk – The customer can MMS a photo of the incident they are trying to resolve. Could be eg. a photo of a broken appliance or similar. This helps the Help Desk personal resolve the incident more quickly because they can see it! Improves customer service all round. Insurance Claims – Ask the consumer to send in a copy of the damaged property for review. With location services enabled on the consumers phone, the location of the photo will also be tagged reducing fraudulent claims and improving consumer experience at the same time. If you are an agency or reseller wanting to send (or receive) MMS campaigns please contact us for more information and rates. We offer the best MMS rates in Australia. If you are an existing SMS provider looking for wholesale MMS send/receive capability via our MMS gateway – to offer your own customers then please get in touch via our contact form. If you have any other comments or questions, or would like to share your own successes with receiving MMS then free to leave a reply in the comment box below.